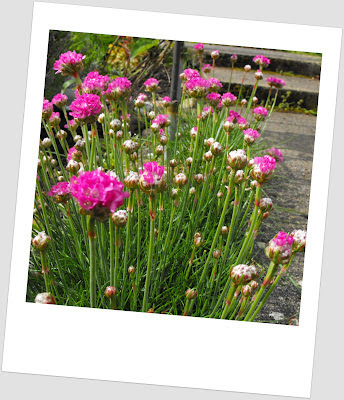 Happy Garden Bloggers Bloom Day! I love May. My cottage flower gardens are so green and lush, full of thick, emerald foliage with summer blooms soon to follow. Right now, I seem to be in the midst of an unintended purple color theme. Here is what is blooming in my corner of the Pacific Northwest. 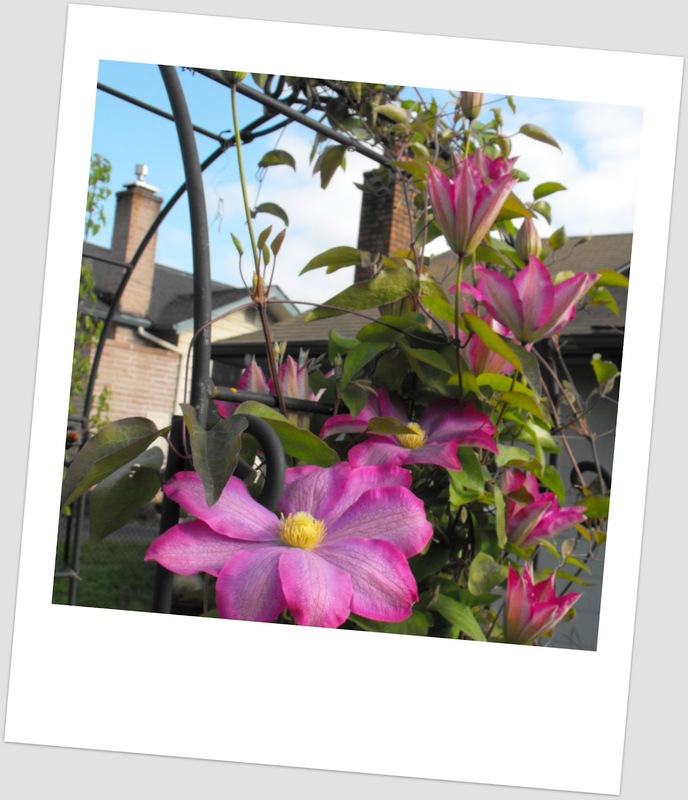 Clematis on the front arbor. I have the largest blooms this year. They are spectacular! Sea Thrift (Armeria) in the rock garden below the arbor. Columbine (Aguilegia) in the side shade garden with many a fern frond in the back ground. 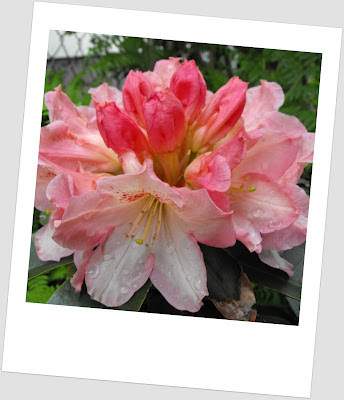 Coral Mist Rhododendron, a pretty prize I intend to whisk off to our new home this summer. Alliums dotting the front flower beds. This is their second year and I adore the height and texture they add to the cottage gardens. Ever bearing Strawberries. My bitty berry patch is heavy with blooms this year. Finger's x'd for a bumper crop to follow. Not sure what this bloom is. It was in a Pacific Northwest Native Wildflower Mix. It's like the only non-purple/pink thing blooming! Might it be a variety of Wall Flower? 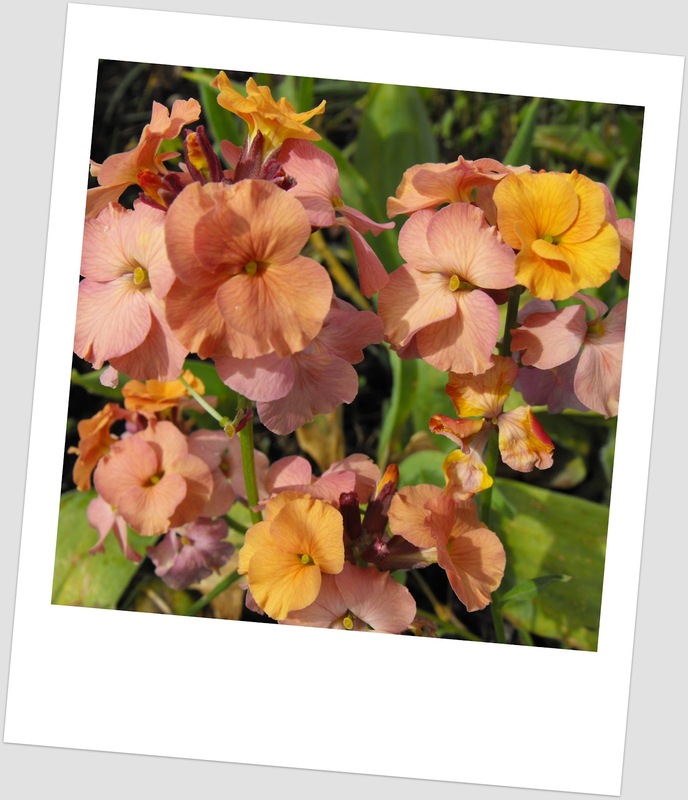 Please join garden bloggers all over the globe sharing what is blooming in their gardens on the 15th of each month. Stop by Carol's at May Dreams Garden to join in the bloom day festivities. Wishing all my garden blogging friends a Happy GBBD! Lovely blooms Jenni - I'm particularly taken with your Clematis! I have two clematis plants and have yet to see a bloom. I'd guess a wallflower too for the last photo. 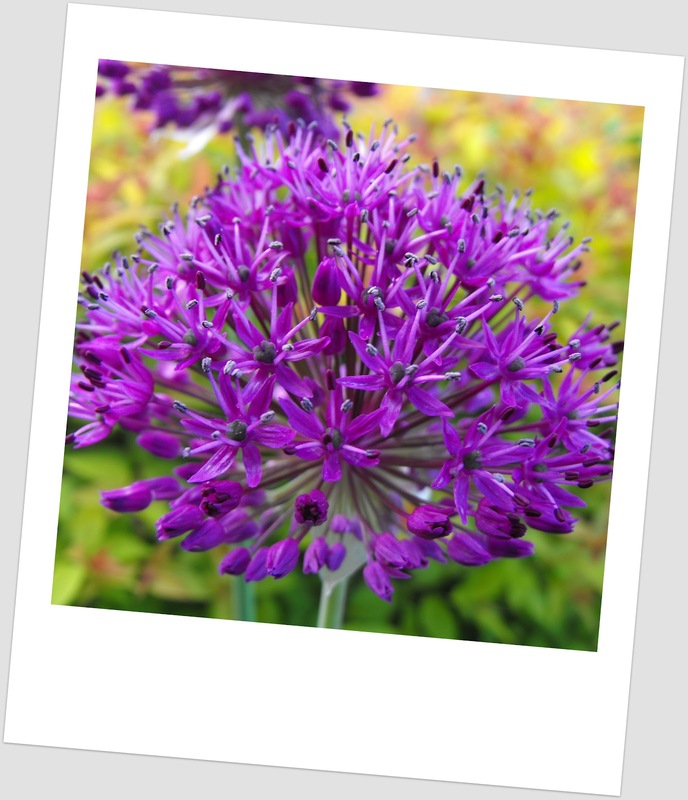 Are you collecting seed from your aqilegia to take with you and you must take the alliums. Your blooms are indeed lush and beautiful - such a joy to view them. You do have some beauties here! Happy GBBD, Jenni! 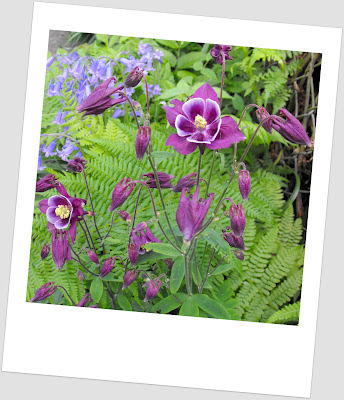 Gorgeous clematis and columbine! Oh, I love purples. 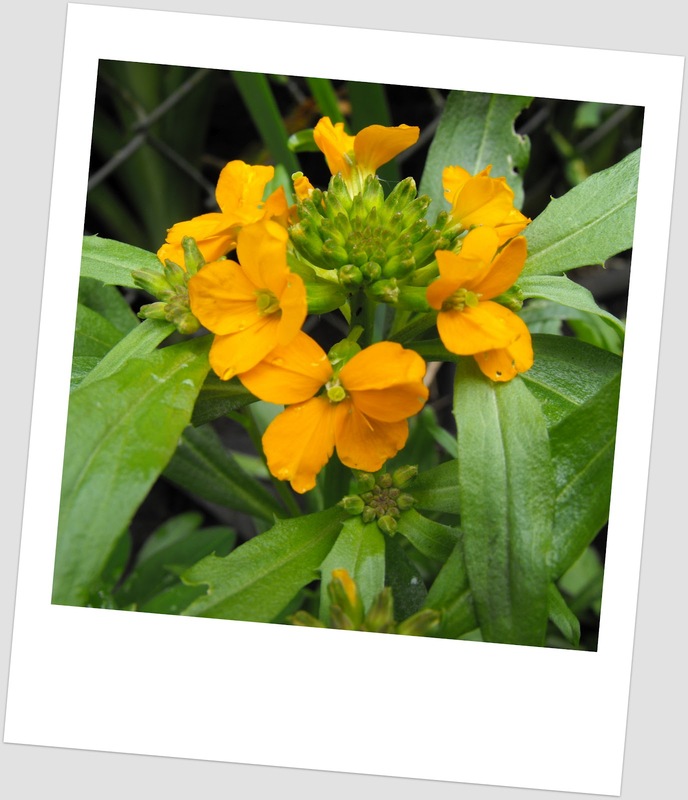 And your wallflowers are stunning. The rhododendron is dreamy - I love that coral color! Happy GBBD! Your blooms are beautiful, but I am particularly drawn to that clematis. The color is so rich and lovely. Happy GBBD! Lovely blooms! I have the same orange flower, but not sure what it is. My neighbor keeps recommending the columbines, so I probably will give them a shot next spring. Happy GBBD! That rhodie is a pretty color! The Clematises do seem to be having a great year so far. I noticed they seem extra big this spring too. Glad you're able to enjoy your spring flowers at this house! Really fantastic photos and I like the way you've framed them. Looks like you have some gorgeous colour around the garden! Happy blogger's bloom day! 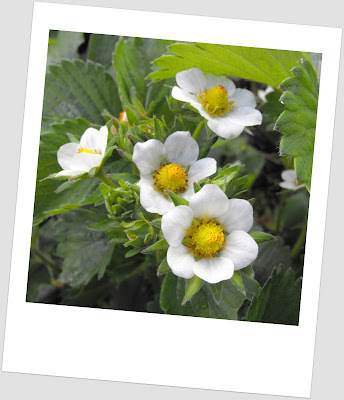 Love your flowers ... the strawberry post is an inspiration!!!! I have 2 plants and have yet to have a crop of berries! Ahhh...spring blooms! So pretty & inspiring! Thank you for sharing. love the alliums! I started with 5 and ended up having to pull some this year, I still have hundreds. The pics of your flowers are awesome!